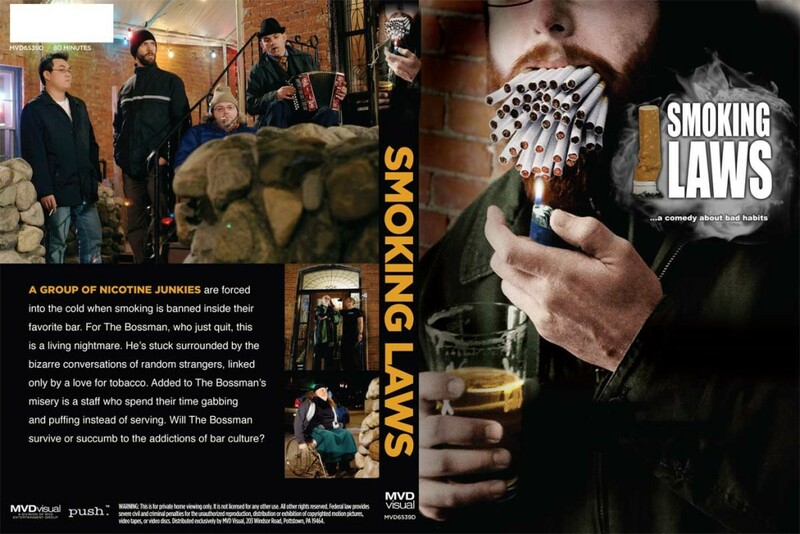 Eggwork Productions announced in February that their no-budget comedy feature film about nicotine addicts stuck outside their favorite bar on the coldest night of the year has received a North American DVD release of the film through MVD Entertainment Group. Smoking Laws is also being distributed in the UK by Scanbox and is already available on Vimeo OnDemand . Marc appears in the Matthew Ehlers helmed picture as a mayoral candidate facing a dark and desperate secret. This entry was tagged bar, comedy, DVD, Eggwork, Ehlers, feature, film, movie, raco, release, smoking, smoking laws. Bookmark the permalink.